Here follows chapter 17 of “The Seven Seat: A True Story of Rowing, Redemption, and Revenge”, Dan Boyne’s tale about his rowing and sculling days in the 1970s at Trinity College in Hartford, Connecticut, a series published on Row2K’s website. In this chapter, “The City of Brotherly Love”, Dan Boyne and the Trinity crew are arriving in Philadelphia by charter bus for the last race of the spring season, The Dad Vail. Coming down Kelly Drive, Dan’s friend, Peter, points out the statue of Kelly. 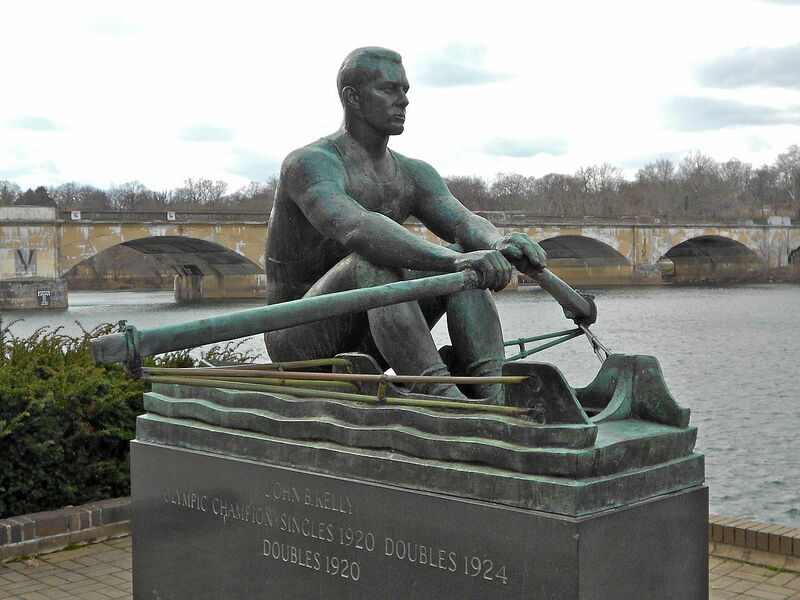 Few of the young oarsmen know who Jack Kelly was. Oh dear, how is this going to end?